In the entrance hall at Wannsee station in Berlin, to one side of the main pedestrian flightpath, stands a tall, thin object made of turquoise fabric with a trapezoid footprint. At one point, a pen presses against the shroud from inside, moves a few centimetres and traces a black line. The pen changes direction, still drawing the line, and then disappears. The onlookers watch the calm surface, waiting eagerly until the same thing happens a few centimetres away. The lines join to form a figure, the pen starts somewhere else, and over the course of 40 minutes a network of lines covers all four sides of the object. 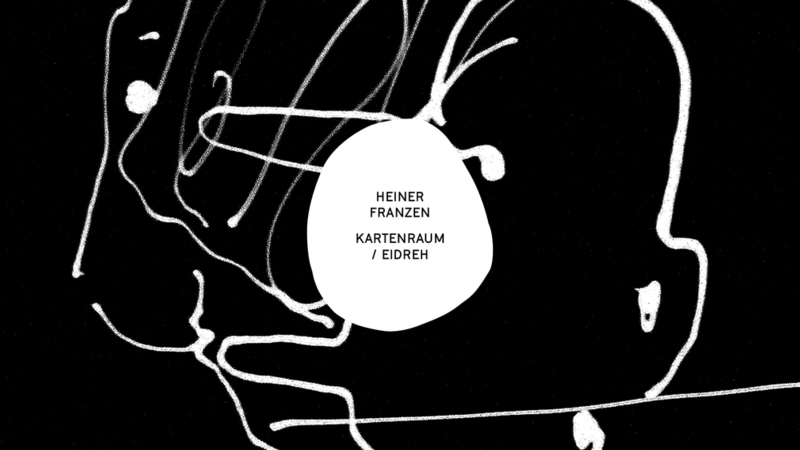 The performance Kartenraum, during which Heiner Franzen stands inside the fabric object, is cinema with the simplest of means: the fabric is the screen, his pen the projector, with a soundtrack of the scratching and squeaking of the pen’s tip on the fabric. Artist, hand and implement remain hidden, conveying their presence only by the trace that manifests itself on the surface. But they are also synchronized with the bodies of the viewers, who are steered around the object by the pen as if by magnetic force. Viewing here is clearly an affective, physical activity. 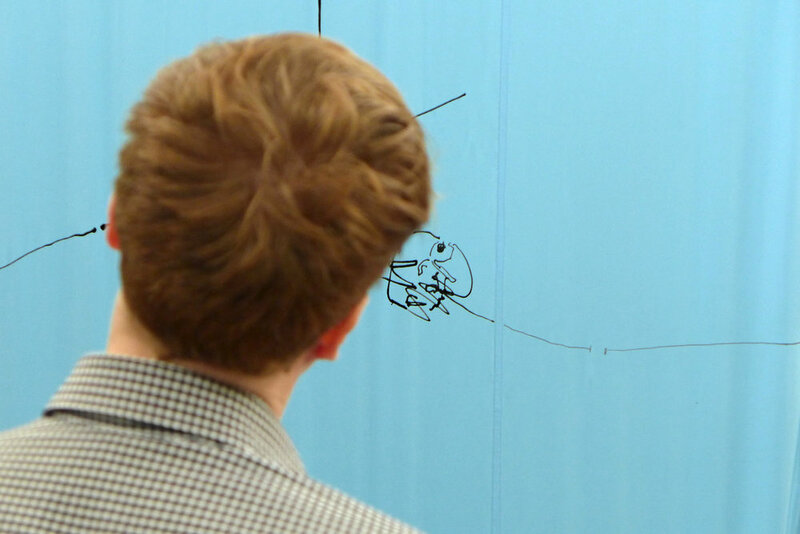 The movement of drawing continues in the movements of the bodies, which become a medium of expanded animation. Production and reception cannot be separated, the animated film is captured as it is being made. But each individual image is permanently recorded on the screen, like the images of a film in the memory of the cinemagoer.